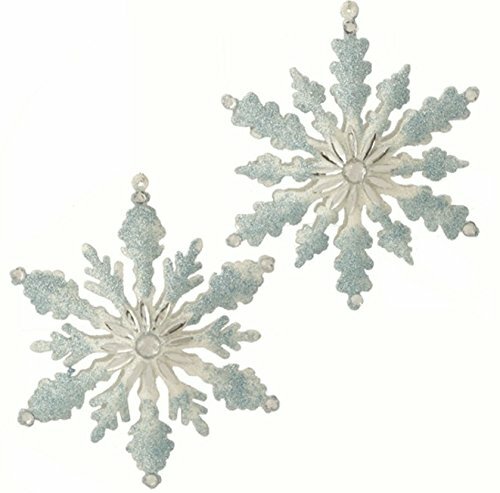 Set of 2 - 5.5'' GLITTERED SNOWFLAKE CHRISTMAS ORNAMENT by Raz Imports by RAZ Imports at Two Clock. Hurry! Limited time offer. Offer valid only while supplies last. Two 5.5'' Plastic/Metal Glittered Christmas Snowflakes Ornaments Add to your Christmas Tree for a designer look! From the RAZ Christmas Collection.